How to import FLV to Final Cut Pro on Mac? "I am currently away from my personal computer and so I do not have access to FCP. Can someone tell me whether or not it is possible to edit Flash (.flv) files in FCP? If it is necessary to convert the .flv files, does anyone know of a quality, easy-to-use program that can do that?" 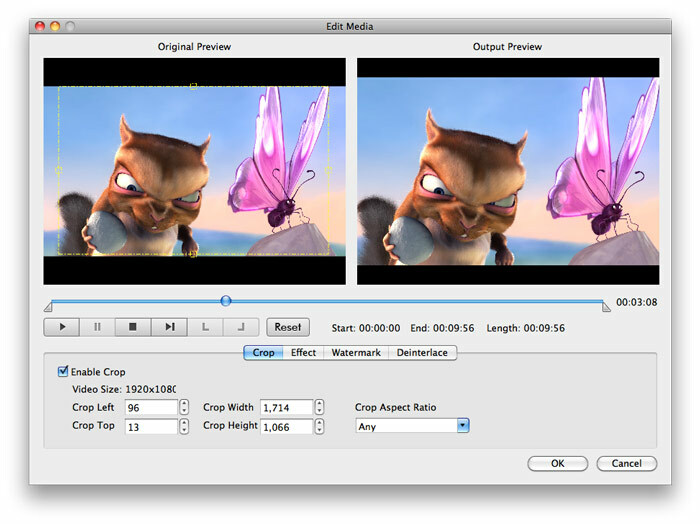 Final Cut Pro is a powerful editor software for Mac fans to edit their video files, it support DV, HDV, MP4, etc. If you wanna do some special effects on your flv video and then share your flv files with your friends on YouTube, FCP is the best choice for you to choose, with its powerful functions, you can get an unique movie. Import flv into FCP is the just one problem for FCP doesn't support .flv. So if you want to import FLV to Final Cut Pro to edit, you should convert FLV to QuickTime formats (like MOV, mpeg-4 etc on). iFunia FLV to FCP converter for Mac will help you import FLV to Final Cut Pro successfully. 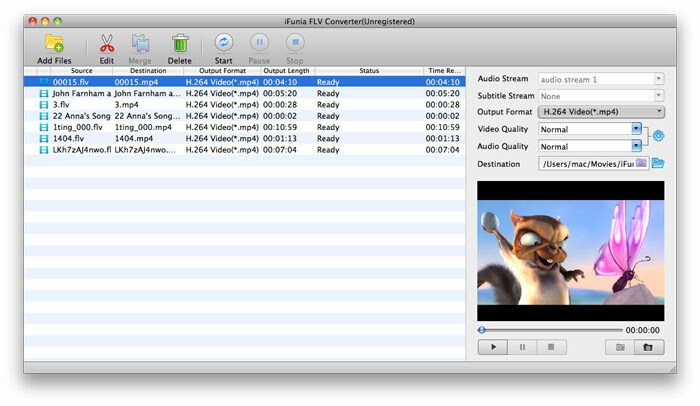 Click here to free download iFunia FLV to FCP Converter for Mac. After download this FLV to Final Cut Pro Converter, install and run it. 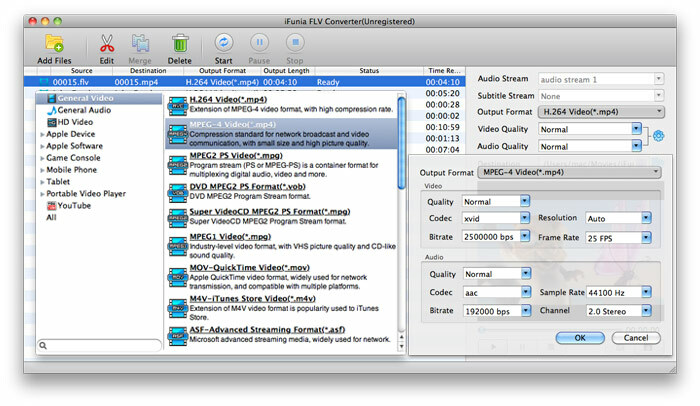 Then simply drag your FLV video files to this FLV to Final Cut Pro Converter on Mac. The loaded FLV video information will be showed in the source list. You may add as many FLV videos as you want for batch conversion. With iFunia Mac FLV to FCP Converter enhanced editing functions, you also can trim, crop, add effect on your video, merge several flv video clips into one file, and extract audio and image from FLV on Mac. Select the output format like "MP4" which is compatible with FCP from output format list. Remember that the output file size mostly depends on the Bitrate you set. Larger Bitrate, larger file size. Actually video with bitrate as 768 is acceptable for watching. Step 3. Start to convert FLV to 3GP on Mac. Hit "Start" let this smart FLV to FCP Mac Video Converter to do the rest for you! This Mac FLV to FCP video converter is specifically designed for Mac OS users, including Mac Pro, MacBook, MacBook Pro, MacBook Air, etc.